Belphegor And Dark Funeral Announce Co-headlining Tour - GENRE IS DEAD! Extreme metal bands Belphegor and Dark Funeral are joining forces for a brutal North American tour. 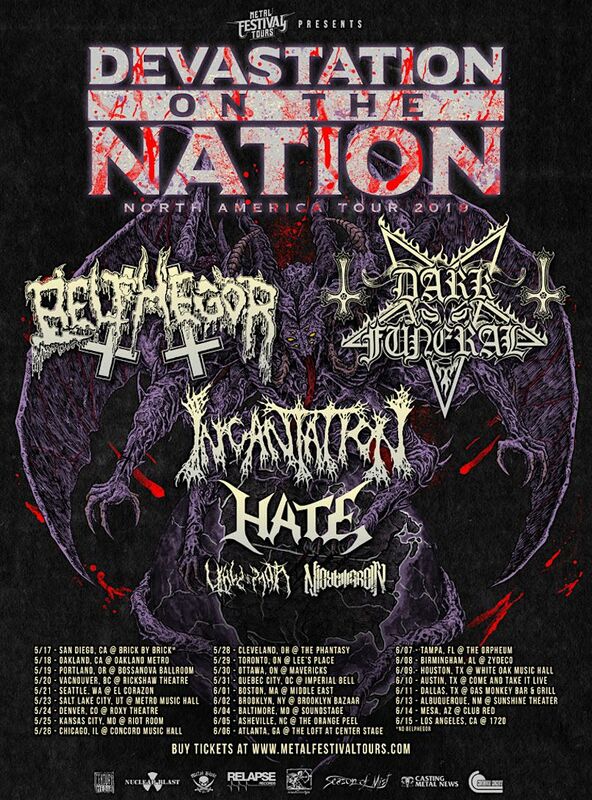 The recently announced “Devastation on the Nation” tour will feature the two bands along with support from Incantation, Hate, Vale of Pnath, and Nightmarer. The tour kicks off May 17 in San Diego, California and will hit up major cities, including Seattle, Denver, Chicago, Toronto, and New York. The trek concludes June 15 in Los Angeles, California. Tickets are currently on sale. Grab them here. Check out all of the dates below.